. Published on Tuesday, August 2, 2016 . Did you know that the first Olympics contained only nine different sports and 241 competitors? Since then, the games have become a worldwide celebration of athletic activity and have expanded to include 28 sports and over 10,000 athletes competing. The 2016 Summer Olympics should be full of exciting moments and fierce competition. But before you get caught up in all the action, here’s a list of everything you need to know about the Summer Olympics. Where are the 2016 Olympics? Team USA will be outfitted by Polo Ralph Lauren during the opening and closing ceremonies in button-down shirts, chino shorts and boat shoes—all in red, white and blue. What sports will be in the 2016 Olympics? There will be 28 sports in this year’s Olympics. Along with traditional sports like basketball and gymnastics, there will also be less conventional sports such as table tennis, handball and BMX biking. Were any new sports added this year? Golf and rugby are two sports that are new to the Summer Olympics. How many countries will be represented at the Olympics? 204 nations will be represented at the 2016 Olympics. Who are the athletes to watch at the Olympics? Kerri Walsh Jennings is competing with a new partner— April Ross. Will she earn her fourth consecutive gold medal in beach volleyball? Nicknamed $imoney, Simone Biles is only 19 years old and has already been awarded the United States Olympic Committee’s (USOC) Female Olympic Athlete of the Year in 2014-2015. 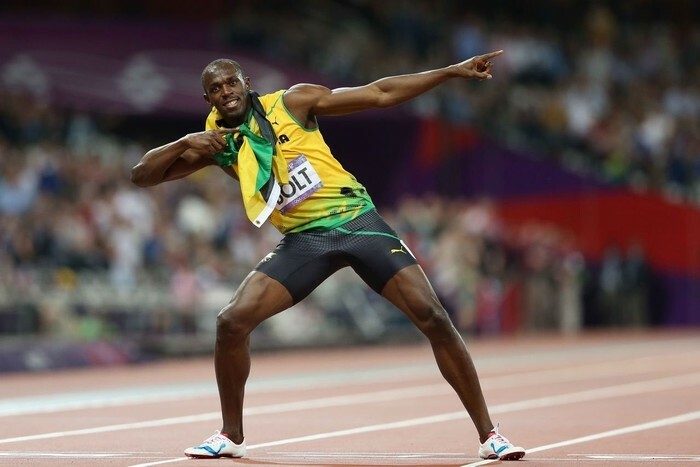 Although he’s already won six gold medals in three Olympic games, will Usain add to his collection of successful races? The recently turned 31-year-old athlete qualified for three individual races and possibly three relays. Will he add to his 22 titles? For a more complete list of athletes to watch out for in Rio, click here! Now that you’re up to speed on the Summer Olympics, get ready to follow along. The Summer Olympics will air on several channels, including NBC and can be live streamed at nbcolympics.com or on the NBC Sports app. Go Team USA! Are you interested in submitting a story to The Campus Crop? Find out how here and be sure to follow us Facebook, Twitter and Instagram. Don’t forget to follow us on Snapchat @asicpp!